Lubor On Tech: Why Chase the Consumers, RIM? BlackBerry has been declared the loser in the raging smartphone battle. Apparently, Research-in-Motion (RIM) has been losing market share to Apple and Google even though it continues growing. I am impressed that our neighbors in Waterloo keep on fighting as witnessed by the very positive preliminary reviews of the PlayBook tablet device. But one thing continues puzzling me: Why is RIM so determined to fight for the consumer market? Virtually every marketing message the company has been sending this year is about the consumer. They even had the rapper will.i.am as a keynote speaker at the Wireless Enterprise Symposium (WES) this year. No joke - I was there. BlackBerry has had a complete monopoly on the enterprise smartphone market. Having cracked the code on the first real killer application – e-mail – RIM has dominated the enterprise. And it still does to a large extent. The BlackBerry provides a significantly more secure and enterprise ready platform. Why else would the US military and even the President exclusively use the BlackBerry? It offers a far better bandwidth management (that means lower communication costs, dear CFOs) and the BlackBerry Enterprise Server, which has been already deployed in every enterprise, is RIM’s greatest asset that allows better management of the devices. Apple and Google don’t have anything like that. But instead of focusing on the enterprise, RIM has been fighting Apple on its home field – the consumer space. And the results are not convincing. Sure, I keep hearing about teenagers loving the free BlackBerry Messenger (BBM) but the tough reality is that I keep seeing more and more iPhones in the enterprise. And that’s a big mistake on RIM’s part. They should not have allowed Apple and Google to enter the enterprise. They should have kept hammering home the message of security, bandwidth cost and manageability which would allow them to keep the intruders at bay. Why, I ask? 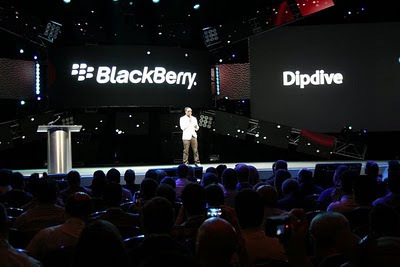 RIM might possibly believe that people will want to use only one device and that their consumer preferences will be the decisive factor in selecting which one. I don’t agree with that assumption. I believe that professionals will use the best tool to do their jobs and accept its consumer capabilities – albeit inferior - or that they will simply carry multiple devices. If I was Mike Lazaridis for a day, I would refocus my development and my marketing on the enterprise. Make the BlackBerry the best device for PowerPoint; add decent Office applications; provide a Bluetooth sync for desktop folders; turn it into a single sign-on token - whatever it takes in the enterprise. And, work with enterprise software vendors such as Saleforce, SAP, Oracle, and [yes, of course] OpenText to make sure their software for BlackBerry is the best and first on the market. Yes, BlackBerry needs to do a better job at playing music and movies. It needs to provide a far better browser and it needs to aggressively recruit application developers. But fighting Apple on its own turf is like David fighting Goliath without the sling. 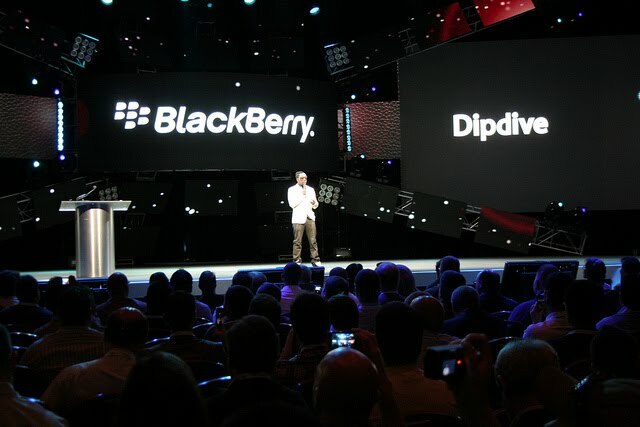 Differentiation is the name of the game and BlackBerry still has differentiators today. But time is running out and I don’t see BlackBerry displacing any iPhones anytime soon.